Valentine's Day is soon upon us (only 11 days) and if you're in a relationship, you're probably trying to figure out what to do on this special day. Some people go all out while some just want to forget the day exist. No matter where you fall on the spectrum, we here at Life By Olivia have got you covered for the best date ideas. Whether you're married, dating or long distance, we've got you covered! 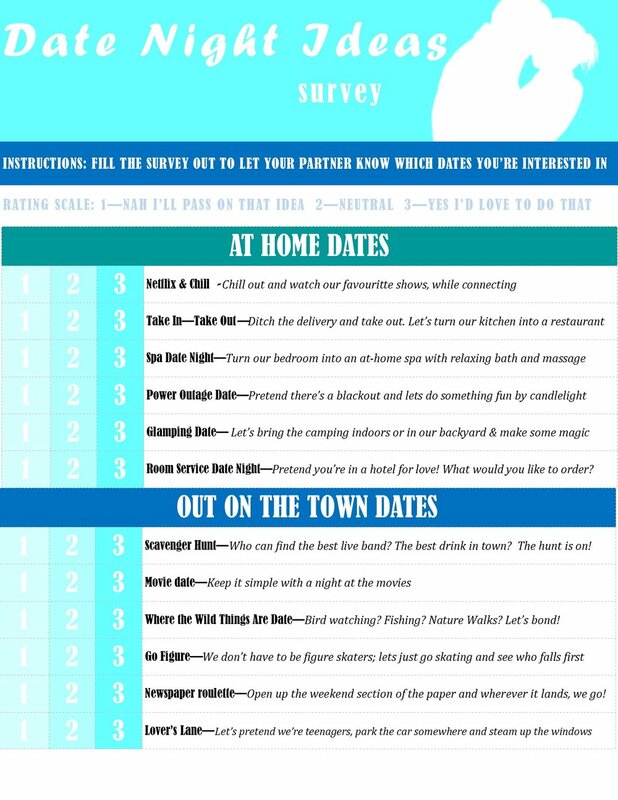 Simply download our guide below, schedule some time with your partner and go over which date ideas sound ideal to you. It's on a 1-3 scale, with 1 meaning, "Nah I'll pass on that idea" and 3 meaning, "Yeah, I'd love to do that". It's a great way to learn more about what interests your partner while finding new ways to connect with them! Which date idea are you most excited about? Personally I can't wait to try the online karaoke with my beau. This is prove if he really does like my singing or not :). Tell us which date idea you like best. And if you're flying solo this year, feel free to try any of these ideas with your best friend!